Are you one of the lucky ones to own a place by the beach? Is it your humble abode, a place where you entertain guests or a place where you can just put your feet up and relax? Here then, are five tips to help you decorate and design your coastal cottage according to whatever your heart desires. With a little tweak to get that ocean vibe, complement with some coastal furniture from Cottage & Bungalow, you will finally get that feeling of the cozy, calming sea. 1. Use a blue and white color concept. A relaxing place is what a dwelling by the beach imbibes. And to achieve that, a particular color concept or scheme should be applied. The blue and white color palette gives the classic coastal look. Blue is an excellent accent to a white background giving that nautical-inspired effect. Neutral hues such as cream and white also elicit a relaxing, cozy feel like the calm sea. But maybe it would not hurt to add splinters of bright colors to get that tropical vacation touch you would probably want the whole year round. Feel free to play around with colors as long as they complement each other and give you that soothing ocean vibe. 2. Use distressed looking furniture pieces. Decorating your coastal cottage does not require lavish furniture. A beachfront cottage typically looks rustic and to achieve that, the furniture to be used should have a distressed look. You can do this by artfully painting by hand or using different finishing techniques to make that shabby chic look. Also, creating designs on furniture such as on headboards, dressers or cabinets depicting the sea brings the beach vibe inside your home. 3. Use seashells, driftwood, or sea glass as decors. 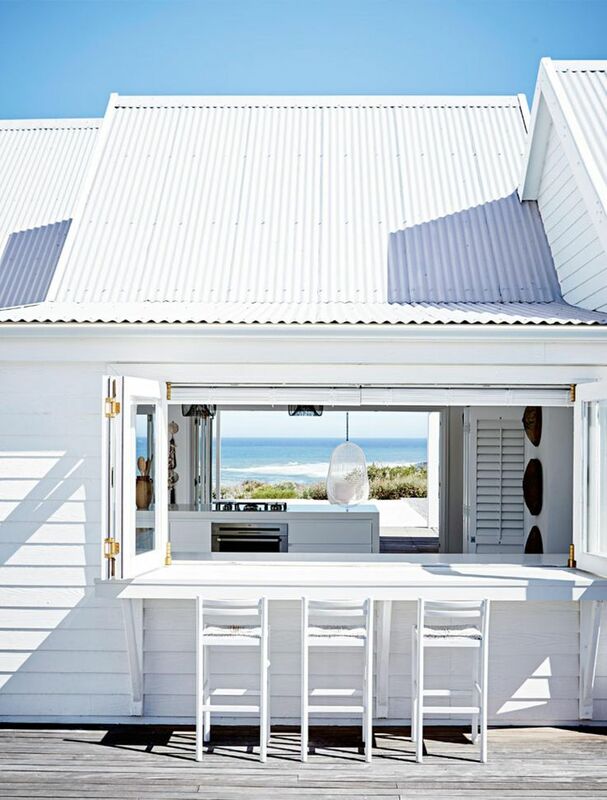 A coastal cottage must have decors or accessories, such as seashells, driftwood, or sea glass, which can already be seen in the area, to have that casual beachy feel. You can also recreate these marine animals by hanging sketches or directly painting them on walls or furniture. A coral or seashell accent to a room would give that sea and sand feels to a place. 4. Use white, lacey curtains. Hanging white or curtain drapes on tall and full glass windows provide a light and airy feel to the coastal home. 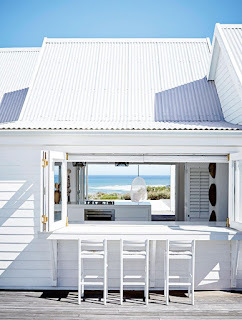 Incorporate French doors in a room with a view of the sand and sea. With the look just outside the window, it is best to arrange the room facing the ocean for a marvelous waterfront view. 5. Use woven accessories and furniture. Adding unexpected touches such as rattan chairs, wicker ottomans, seagrass placemats, baskets and tropical plants to an otherwise dull room transforms it into a seaside cottage vacation spot. These woven accessories and furniture create a tropical and a laid-back feel to the cottage. Whether you are lucky enough to have a beach place or not, you can always have that relaxing ocean vibe easily into your home. It does not have to cost you much. The materials are in the area, you just have to let your mind wander and imagine the seaside right in your home and be sea-inspired. You don’t always need to be on the beach; you can beckon the beach to you.